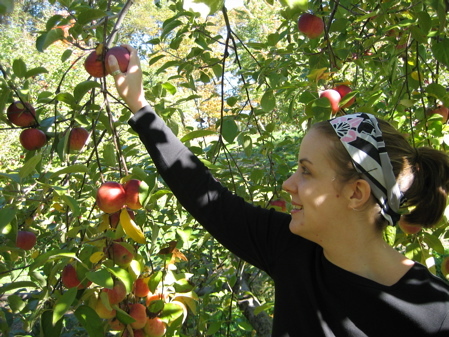 Yesterday I went apple picking at the Nashoba Valley Winery. It was so much fun and I came home with some absolutely delicious fruit. I think heaven must smell like fresh picked apples. 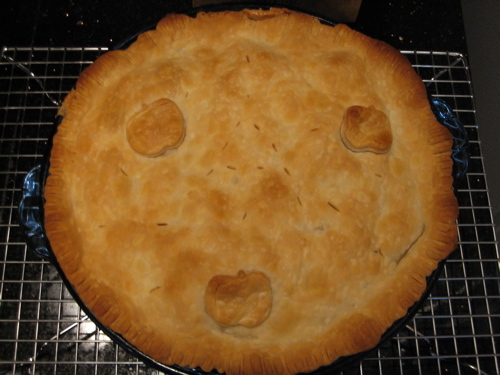 So of course I just had to make an apple pie. I’ll be straight with you and admit to the fact that I use those Pillsbury ready made crusts. I, too, went apple picking this weekend! 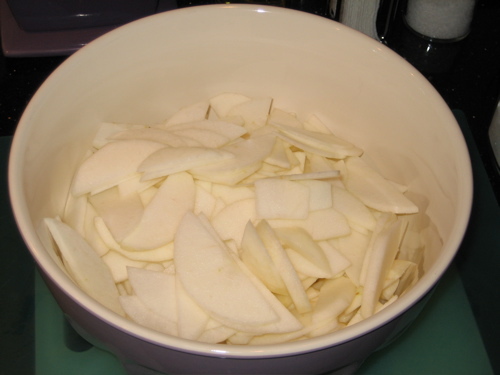 Now, I am making apple crisps and pies like a crazy woman trying to get rid of all this produce. 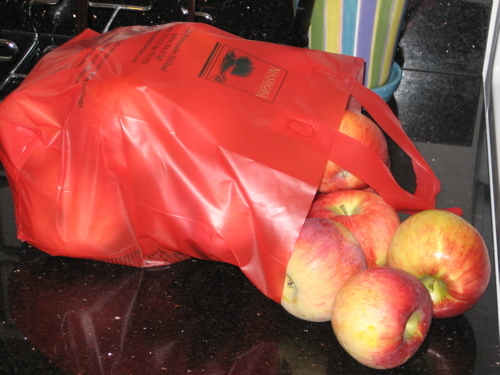 I know, “An apple a day…” but I’ve got like ninety big red things here! That’s a lotta apple eatin’! 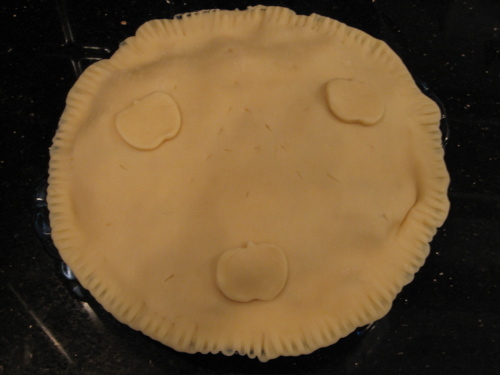 I absolutely love the little apple cut-outs you put on your pies. I absolutely have to copy that! This website is great and I’m definitely going to be checking it for ideas to thief. Strong, Maine, will never be the same! Lemme ask you a question, Erin. What’s your favourite “cheap wine”? Red and/or white? By cheap, I mean like the $10 bottles you get in the grocery store. Grace – Hmm…great question. I definitely have a favorite cheap white. It’s around $11 or $12 — Kris Pinot Grigio. For Reds I really like this Kosher wine by Yarden Mount Hermon and also Navarro Correas Cabernet Sauvignon. 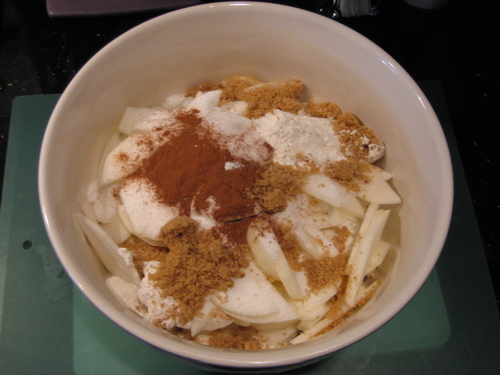 Another question: I want to make individual apple pies today. 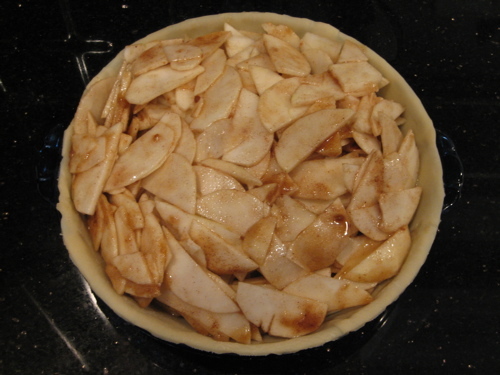 Don’t ask – a whole apple pie will most likely go to waste and if I split it up I can give a couple little ones to our friends. So, have you tried this? How do you think I should adjust the cooking time if I use your recipie up there? Do you think I’d have luck using my little souffle cups or should I venture out to buy individual pie tins? Hmm…I think either option: the small tart tins or ramekins would work fine. 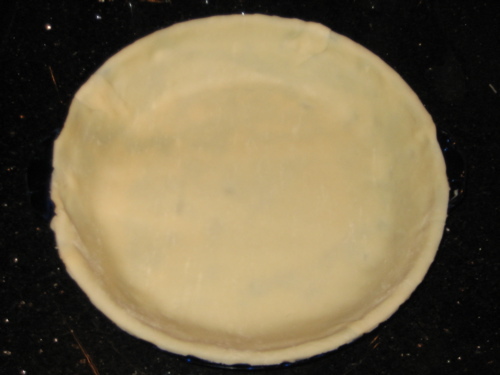 I assume these are fairly small individual pans (3-5 inches in diameter) so I’d try baking them for 15-20 minutes and then check them until the pastry is browned to your liking.